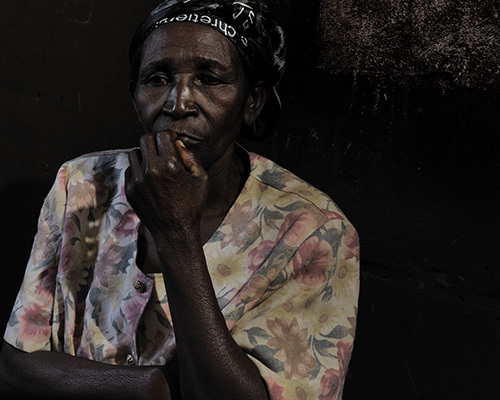 © Eberhard Riedel, "Exhausted - Eastern Congo, 2011"
This woman lost her husband and several family members. Her dwelling was destroyed. She is in ill health and though working hard to support her five children she can only afford to send one to school. The family lives in a shack with a leaky roof.